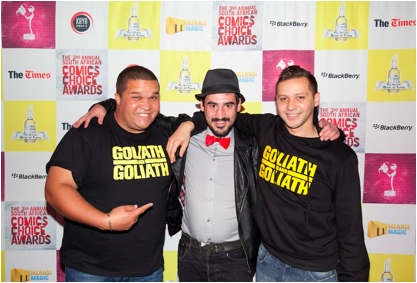 GoXtra News: COMICS CHOICE AWARDS 2013 NOMINEES ANNOUNCED! COMICS CHOICE AWARDS 2013 NOMINEES ANNOUNCED! Sound like the start of a bad joke? 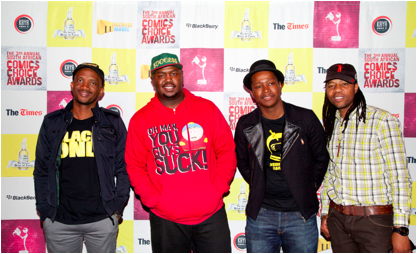 It’s not - they’re all nominees in The 3rd Annual South African Comic’s Choice Awards™ (CCA’s). South Africa’s comedians have voted, and the nominees in each category have been selected. Now winning a prestigious Waldo is no longer a dream, but a one in four chance for each nominee. 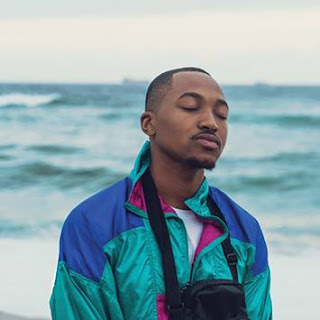 The nominees were announced (to cheers and applause) by previous winners Sifiso Nene, Dillan Oliphant, Joe Parker and Alyn Adams, who entertained everyone at the press event by doing a few minutes of stand-up. 2011 winner Deep Fried Man had the room in hysterics with his trademark “stand-up comedy with a guitar”. While the nominees were voted for by their comedic peers, there is still one funnyman (or woman) who will be selected by the public’s vote in the Savanna Audience Choice category. Voting in this category only stays open until 8pm on 20 August 2013 and you could WIN a VIP experience to the Awards if you SMS your favourite comedian’s unique code to 38374. You can vote 20 times (if you can’t choose just one favourite comedian!). Vote for one of these four…! The sixth – and final – Waldo is awarded to the Lifetime Achievement recipient on the spot! Beloved ‘cousin’ Barry Hilton was the recipient with the highest number of votes in this special category for comedians with 25 years’ experience. The Lifetime Achievement recipient is always ‘honoured’ at a special night at Parker’s a few weeks before the event. Join a panel of ‘Grill Masters’ as they tear Barry a new one at 'The Grilling of a Lifetime, where he’ll be subjected to comedic insults, praise and downright abuse! Pop down to Parker’s at 8pm on Tuesday 13 August or book your tickets in advance from the venue to avoid disappointment. The formal award ceremony takes place at The Teatro at Montecasino on 24 August 2013, in association with The Times, Mzansi Magic and Kaya FM. Limited tickets are available to public, so book now through Computicket. Tickets: Computicket (www.computicket.co.za) from R230 to R270. Issued on behalf of Whacked Management by One-eyed Jack.